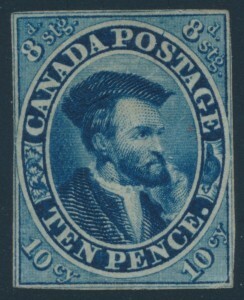 Lot 23 Canada #7a 1857 10d blue Cartier on Thick, White Wove Paper, unused (no gum), with balanced small to close margins, fine. 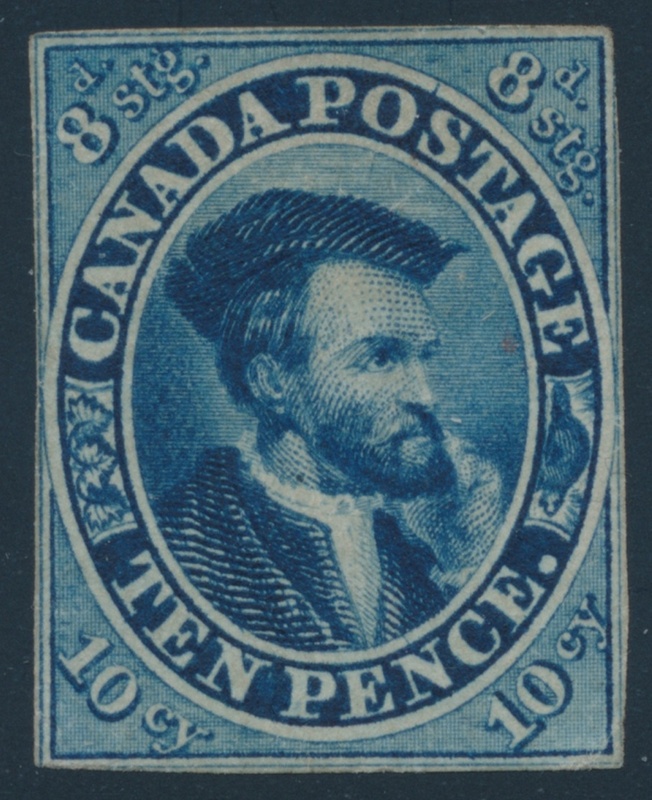 Accompanied by a 2014 Greene Foundation certificate stating “… surface lightly soiled” still an appealing stamp. Unitrade CV$7,000.